This is a group dedicated to the artists who want to learn, and the ones who are learning... It doesn't matter who you are or what you are doing, we accept all budding and learning artists, from big to small, elementary to college... So come and learn with us!!! We will always give you a fair critique and tell you what you could do to improve!!! who knows?!? You might even critique us!!! How Join? Just click on "Join Our Group" button on main page of our group. Your request will be automatically accepted. Enjoy the group! To submit a deviation to gallery: Click on Gallery, them Submit to This Gallery. NO comments of hate or offensive words; Show respect to all members, we are a community. The submission limit is TWO works per WEEK. Featured folder is only for the most amazing works of our photographers. Choose your best photo. To submit an artwork you have to be a member of this group. Please submit your artwork to the right folder. 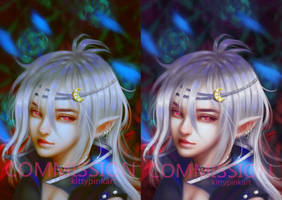 No artworks with BIG WATERMARKS, it will be rejected. FEAST YOUR EYES UPON THE MAGNIFICENCE OF OUR FEATURED ART FOLDER!!!! PLEASE KEEP SUBMITTING YOUR GREAT ART, WE ALL ALWAYS LOOK FORWARD TO SEEING IT!!! A lot has come up on my daily schedule such as college, that has severely limited my time on here... BUT!!! I think I've worked out a wormhole to get the problem fixed. #1) You will notice ( if you are one of the more careless deviants in the group...) that we have added a folder entitled "I don't watch where I submit"
The purpose of this folder is to root out any accidental art applications that pass through our group under the wrong gallery folder name.... SO WATCH WHERE YOU SUBMIT!!! BECAUSE YOU MAY NOT NOTICE YOUR ACTUALLY SUBMITTING TO THAT FOLDER.... we believe that this will help people realize what they are doing wrong, and resubmit their work to the correct folder. #3) We will be starting a new method of putting work into the featured gallery folder... you may have noticed it hasn't changed in a while... but I reassure you, it will soon!!!! who knows... you might find that your piece has been featured in our featured gallery folder!!! IF THAT HAPPENS POWER AND RICHES AWAITS YOU!!!!!! ...................... ok, maybe not power and riches, but it is something to be enthusiastic about!!!! P.S. WE STILL NEED MORE CRITIQUES!!! OUR CRITIQUE GALLERY FOLDER IS OVERFLOWING WITH EXCELLENT ENTREES AND WE JUST DON'T HAVE THE MAN POWER TO CRITIQUE THEM ALL.... SO FEEL FREE TO TELL PEOPLE WHAT YOU REALLY THINK WHEN VIEWING IMAGES IN THAT SPECIFIC GALLERY!!!! We have been accepting an amazing amount of artwork into our critiques gallery over the past week... and quite frankly I cant keep up with it!! so i'm asking all those good critical souls out there!! Please, Critique critique critique!!!! if you do a good enough job you may even be invited to contribute to the group!!! Hope to see some awesome critiques over the next couple of weeks!!! hope to have some help, criticism and friends here. Thank you for letting me join in btw! Many of you have met my brother Serge because of the ALS contest. Since then some of you have noted me to ask how Serge is doing. Today I am writing this journal for a different reason. Serge is rejecting the liver he received 8 years ago. This has happened once before. Through the efforts from the transplant team doctors and every one caring for Serge they were able to reverse the rejection then. Because Serge also suffers from ALS (AKA Lou Gerhig's) disease now, I am assuming that it could be a bit more complicated this time around. Serge is a fighter and with the help of his doctors and care givers and the support and prayers from family and friends including you here on DA, I am very hopeful that he will soon recover from this set-back. Your kindness has helped bring awareness to those who see it in your group. I urge everyone to read the journal and click on the link to vote because this is such a worthwhile cause. Every click on the link to vote counts and they all add up one at a time.